Touch International offers optical bonding, gasket bonding, and perimeter/hermetic seal bonding services to enhance display functionality and performance. Bonding enhances and ruggedizes the display, improves sunlight readability by up to 400%, allows for thinner and lighter designs and improves resistance to moisture, heat, and humidity. All of our bonding is environmentally tested in our own facilities and is qualified per MIL-STD-810F. Bonding improves display performance, sunlight readability and resistance to moisture, heat, and humidity as well as ruggedizing the display for maximum strength and impact resistance. To learn more, visit our Optical Bonding page. 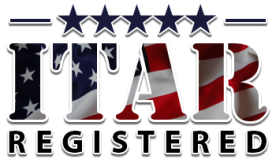 Military applications can be designed and manufactured in our ITAR Registered Headquarters in Austin, TX. Touch International provides gaskets which are used to seal a touch screen to a bezel, display or both. They keep dust and moisture out and reduce the effects of shock and vibration. A gasket is a die-cut layer that is made of polyester, adhesive, foam or combinations of these materials; it can also be made of copper or metal mesh materials. For applications requiring extraordinary ruggedization, we can go as far as replacing the rubber gaskets on the inside of the LCD module with custom Teflon gaskets. Our vertically integrated manufacturing allows us to develop cost-effective complete touch display solutions that outperform the competition. Touch International’s laminated safety glass protects costly displays from damage or theft and is often used when manufacturing custom display filters. This impact-resistant glass is shatterproof and exceptionally strong and durable. Outdoor displays and kiosks that are susceptible to vandalism and can benefit from our laminated safety glass. Our in-house custom cover glass manufacturing capabilities can produce ultra-thin, lightweight or thick, vandal resistant cover lenses with custom graphics as part of our total solutions. Our custom touch screens have been tested to function with peak performance through 12mm glass.